Take advantage of one of the most popular health and beauty products on the market. Experience the many benefits of LED Deep Light Therapy. Originally only available in offices, the DPL is approved for home use. It is very easy to use and is safe and effective. The DPL Deep Penetrating Light Therapy System is an 2-IN-ONE FDA approved deep penetrating light therapy system that is FDA cleared and proven to relieve aches and pain and also helps with wrinkle reduction, age spots, and many other skin conditions. The Deep Penetrating Light Panel II is the FIRST full face professional anti-aging light therapy home device that is FDA cleared for wrinkle reduction. Utilizing state-of-the-art LED and Infrared light technologies, the DPL System is clinically proven to help reduce the appearance of fine lines, wrinkles, furrows, scars, large pores and more! Our DPL (Deep Penetrating Light) provides you several different types of infrared illuminators that aid in face rejuvenation and muscle relief. You will notice the red, amber built in LEDs. 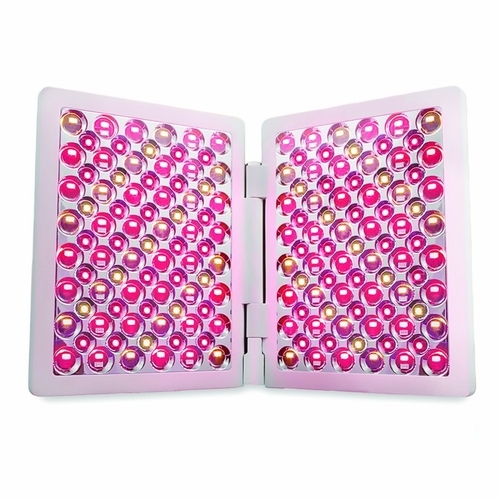 The different Deep Penetrating Infrared Lights produce anti-aging effects such as wrinkle/line reduction and prevention, skin tone and color enhancement, hyperpigmentation treatment, and many other facial skin ailments. Simply stated DPL will help you to achieve and maintain healthy, glowing, and youthful skin and will also help relieve chronic and acute pain. As we age, the collagen and elastin in our skin (two components that keep it looking youthful and healthy) begin to break down. The DPL Light Therapy System stimulates the tissues below the skin, causing them to produce more elastin and collagen, restoring a supple and radiant look and feel to the skin. Laboratory studies, including those performed by NASA, have shown that skin cells grow 150 to 200 percent faster when exposed to the infrared LED light delivered by the DPL system. The layers of the skin, because of their high blood and water content, absorb the far infrared light, stimulating a response from the body to heal itself naturally. So in addition to being an effective anti aging and pain relief product, the DPL Deep Penetrating Light Therapy System is also very beneficial in reducing the appearance of blemishes, cuts, and scars on the skins surface. The DPL II system features two generously sized 8" X 6" LED panels which project the largest amount of surface area LED light available in the home skin care device marketplace, allowing clients to treat both small and large areas in much less time. Treat yourself to pain relief and facial rejuvenation therapy in one proven device. See why thousands of people are taking advantage of Deep Penetrating Light Therapy and are seeing impressive results! Order today and receive our best prices and Free Shipping. Order online 24/7 or call our representatives during business hours Monday to Friday. All products ship daily. GET PROFESSIONAL DPL RESULTS in the PRIVACY OF YOUR HOME! 192 total LEDs: 96 880 nm infrared, 32 660 nm dark red, 32 630 nm light red, 32 605 nm amber. Amber was added to the DPL II Therapy System to reduce redness, inflammation and swelling. Two 5" X 7" LED treatment panels allow treatment of full face. Panels fold into a sleek 8"x 6 1/2"x 3/4" notebook shape for easy storage and traveling. Weighs 1lb 11oz with power supply. Designed for 110-240V power outlets with a 10'5" cord. A simple plug adapter will be needed for use outside the USA. Recommended treatment time for skin rejuvenation: 3 minutes/day (can use multiple times per day); treatment time for pain: 17 minutes. Built-in minute timer with automatic shut-off after 17-20 minutes. 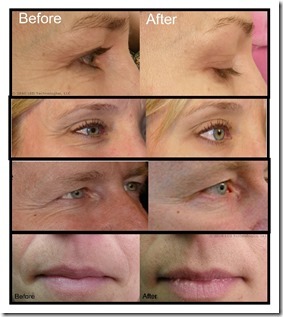 FDA certified for treatment of wrinkles. Includes travel bag, goggles, and step-by-step treatment guide. Treats pain, relief of muscle and joint aches. Helps relax muscles and the pain and stiffness associated with arthritis.